Just in case it’s been a while since you’ve had a squiz at the calendar, we’re here to remind you that the buzz of summer is well and truly creeping upon us. If you’re underprepared in the way of ultra-chic beach gear and pool entertainment, there is no need to get your swimmers in a knot, the Summer lovin’ team at Airtime Australia have got you covered. Airtime Australia is a Perth-based design studio full of hard-core summer fanatics dedicated to making the most out of our beautiful sunny weather. Their unique range of modern summer accessories are sure to enhance your poolside parties and summer beach hangs. From delicious floating doughnut tubes and LED lighted beach balls to luxe metallic sunshade loungers and giant inflatable rainbow unicorns, with so many unique and stylish designs to choose from, it’ll be hard for you to pick just one! Made from high grade PVC. 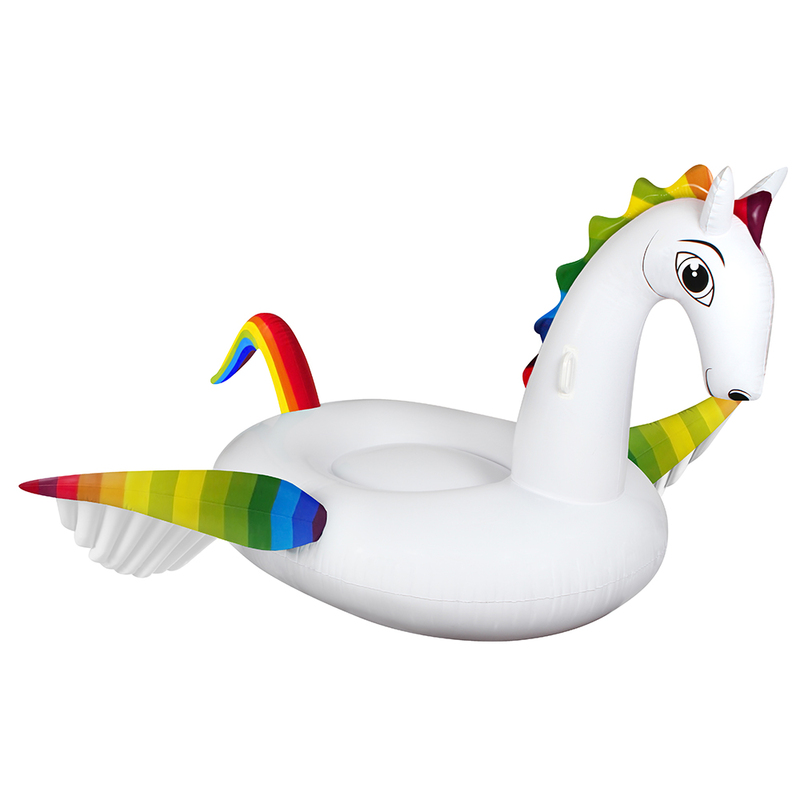 Jumbo inflatable pegasus pool toy with magical rainbow coloured accents. Deflates for easy storage after use. Includes a repair patch in case of punctures. Maximum user weight of 80kg. Presented in an AirTime Luxe box. Inflated dimensions: 256cm x 256cm x 137cm.